DockerCon is THE show for anything container-related, and no wonder it’s been growing from year to year. It is a conference that draws in some of the brightest minds in the Docker ecosystem to offer advice, run workshops, and share insights with like-minded peers. 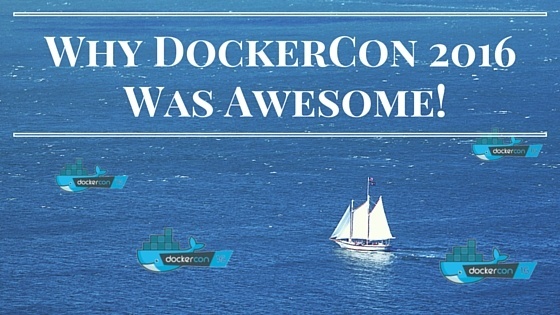 Last year, we sponsored DockerCon North America for the first time to debut our then newly released product. If last year’s conference is anything to go by, DockerCon17 will offer unmatched opportunities to meet top container professionals and get up to speed on the latest developments, best practices and cutting-edge solutions. Oh, and don’t forget the all important community aspect. Thousands of people from the user community and vendor ecosystem will be visiting, meeting up, networking, partying, and building their container know-how through hands-on sessions and panel discussions. DockerCon 2017 is being held in Austin, Texas, on 17-20, April. Aqua is sponsoring this year's show again, and here’s what you can expect from us: We recently released Aqua 2.0 with new and exiting features, including ‘nano-segmentation’ based on a container’s metadata and activity, and complete secrets management system for containers. We will also host a couple of our customers at our booth, and you can talk to them about their experiences implementing container security and running containers in production. Come by our booth #S23 to talk to the experts. Of course we will also have a ton of cool giveaways, including 100 drones and one insanely awesome “mother of all drones” - the DJI Mavic Pro, considered by many to be the best prosumer drone on the market. I don’t know what I’d do with one, but after watching the promo video I just know I want one! It doesn’t come cheap, which is why someone would be extremely fortunate to win it - and all you have to do is take our 3 minute survey! Our very own Liz Rice is a featured DockerCon speaker. Her talk “What Have Namespaces Done For You Lately?” will focus on container namespacing and cgroups. During the talk, Liz will write a container from scratch in Go, using bare system calls. She will also explore how the different namespaces affect the containers’ view of the world, and the resources it has access to. Don’t miss her talk on Tuesday, Apr 18, between 4:15 PM - 4:55 PM. Tyler Jewell of Codenvy will give a talk on developing in the Cloud. He will walk us through the use of Cloud development environments for better collaboration, team on-boarding and agile workflow management. Kamal Muralidharan of PayPal will run through a use case-based guide to the challenges of integrating legacy applications into containers. 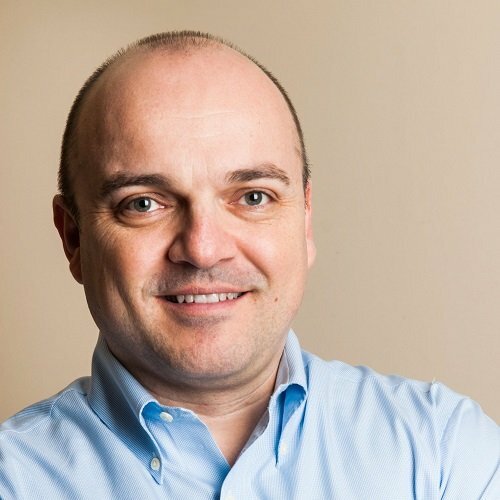 Brendan Gregg of Netflix will give an insightful presentation on container performance analysis, looking at how Netflix uses containers for micro-services, as well as their method for analyzing performance. In a panel talk, including Chris Aniszczyk of the Cloud Native Computing Foundation, top experts will discuss the Open Container Initiative and building standards to support container formats and runtime. DockerCon goes by very quickly - plan ahead. It’s a very intensive conference with lots to do during the day and party hard at night. If you want to get an in-depth session with our security experts, I highly recommend setting up a meeting in advance. It will be hectic out there. Otherwise, you’re always invited to come by our booth to chat with us or with one of our customers, at booth S23. One last thing before you go off to DockerCon: Don’t forget to answer our survey (it’s really short, 3 minutes - I promise) for a chance to win the DJI Mavic Pro. The lucky winner will be announced at our booth on Day 2 of the conference at 3:30PM.